Here, the impossible becomes possible. The world you knew turns upside down. The streets hold threats. The shadows hold secrets, and you hold the power to choose. Indulge your love of writing, improve your fiction and stretch your imagination in a game where role-playing and creative writing meet. Create your character today, and interact with other characters in a gritty, survival-focused medieval-era collaborative writing game full of drama and exciting events. What Is a Collaborative Writing Game? Escaping Reality is a collaborative role-playing and creative writing game site in which players write a never-ending story. Carried out in a play-by-post role-playing style, our game forum is fully moderated by friendly (but ultimately sinister) Storytellers. Bold, devious STs write alongside you and other players, unfolding the story before your very eyes with scenes sure to set your excitement on fire. They'll throw down obstacles, provoke surprise, and create scenes that stir your imagination and push your fiction writing beyond your dreams. You're in control the whole time. 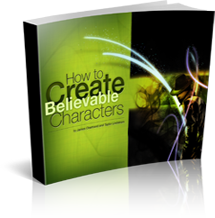 Write your character's reactions while interacting with other characters in exciting scenes full of rich visual imagery, intriguing dialogue and seat-gripping anticipation. You'll also improve your writing skills - and you won't even realize it until you look back and see how far you've come. You'll write your character into exciting twists and turns, develop creative improvisation, and our challenging situations hone your creative writing talents sharply. What will your character do make? Will he run in fear? Will she explore? It's all up to you. You don't need previous role-playing or gaming experience. You do need a firm grasp on English grammar and spelling, some common sense, and a desire to learn and let yourself imagine. Click here to read our FAQs on applying, or click here for more information and creative writing game tips. Before applying to play, we strongly suggest that you familiarize yourself with our current collaborative writing game, Mysteria Island. Click here for more info. You'll get a glimpse of just how much fun collaborative fiction can be. Join us? Ready to Apply for Mysteria Island? Click the button below to fill out and submit your Character Concept. If your character concept is approved by the Storytellers, you'll be invited to an in-game audition where you can show off your talents and become familiar with game play. You'll be ready to leap into full play. Join now. We're waiting for you.